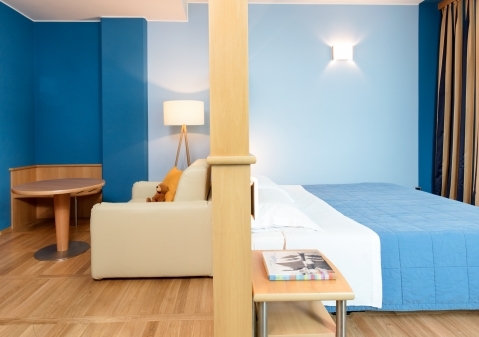 The 80 rooms are kept in the smallest details to make your stay perfect. You can rest in comfortable beds and easly work at the desk due to fast wi-fi connection and telephone. You can relax by watching free Mediaset Premium channels, and devote yourself to your well-being in the bathrooms made of precious and fully equipped materials. The two suites, 40 sqm each, also have Smart TV, sitting area, kettle, hydromassage bathtube and large shower. 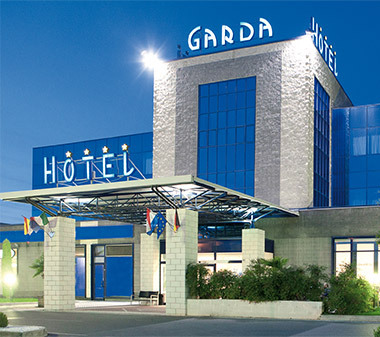 All the rooms are soundproofed, with autonomous air conditioning, card opening, digital TV with free viewing of foreign channels and Mediaset Premium, desk, fast internet connection, telephone, mini-bar, hairdryer and safety box. Each room is tastefully decorated, to make your stay even more enjoyable. All rooms include free access to the fitness center, with Technogym equipment and SIDEA tools. Elegant and comfortable solution, ideal for up to four people, thanks to the living room, bathroom with a big shower, hydromassage bathtub and Smart Tv. 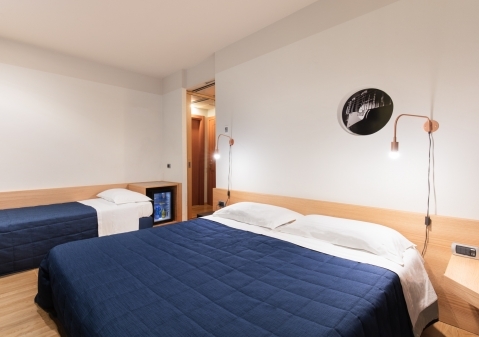 Double, twin or single use room, recently renewed and soundproofed, with autonomous air conditioning, minibar, bathroom with bathtub/shower and tv with free viewing of Mediaset Premium and foreign channels. 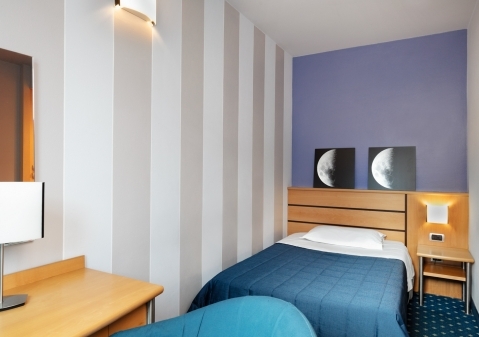 Large room for up to three people, available with double bed and single bed or with three single beds. Spacious room, decorated with king bed or single beds, also available for single use, decorated with classical taste. 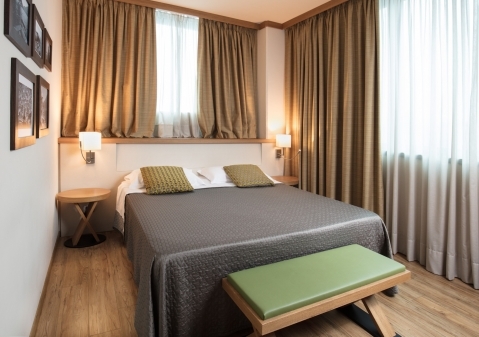 Spacious room with a French bed, soundproofed, with independent air conditioning, equipped with desk, minibar, fast wi-fi connection, TV with foreign channels and Mediaset Premium and bathroom with bathtub or shower.